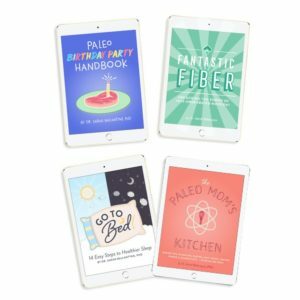 Home » Blog » My 2014 Paleo Holiday Gift Ideas plus 5 FREE Downloads!!!! 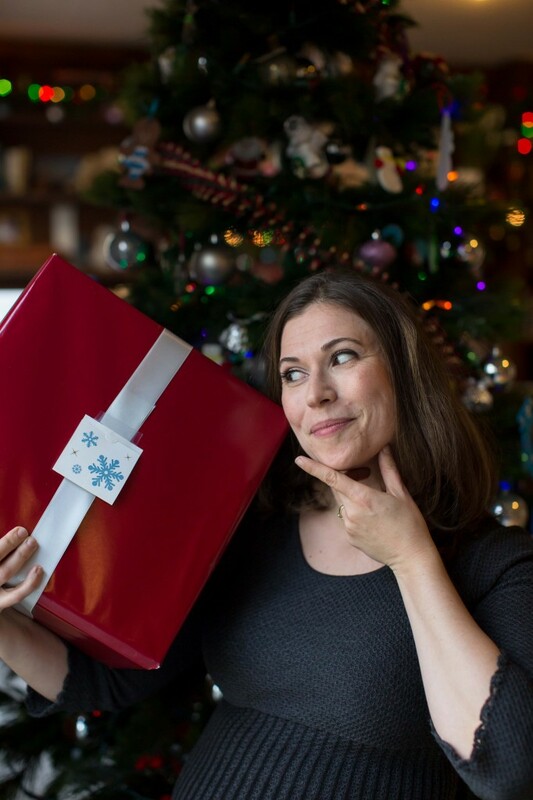 Tis the season for wracking our brains for gift ideas for the special people in our lives. I’m certainly no exception. But while I struggle to figure out what to get my husband, I definitely have some ideas that might help you with your shopping!!! I’m sticking to my strengths here, and recommending only something I know a whole lot about: kitchen gadgets! (Okay, I know a lot about science too, but that’s probably not as relevant for those of you in search for the perfect holiday gift!) And, rather than telling you about new gadgets that I myself covet (but have no experience with whatsoever and can not personally attest to), or pretend that I’m an expert in CrossFit gear or kids toys, or give you an overwhelming list of three thousand different things, I wanted to keep it simple and tell you about five of my favorite, and most-used, kitchen tools! If you’re looking for a gift for someone who cooks (whether they love to cook or simply tolerate it), these are my tried-and-true favorite time-saving and yumminess-making tools. They have withstood the test of time, not just in me continuing to enjoy the foods I create with them, but also by withstanding my continued abuse (er, I mean use)! But, I’m also doing something special! 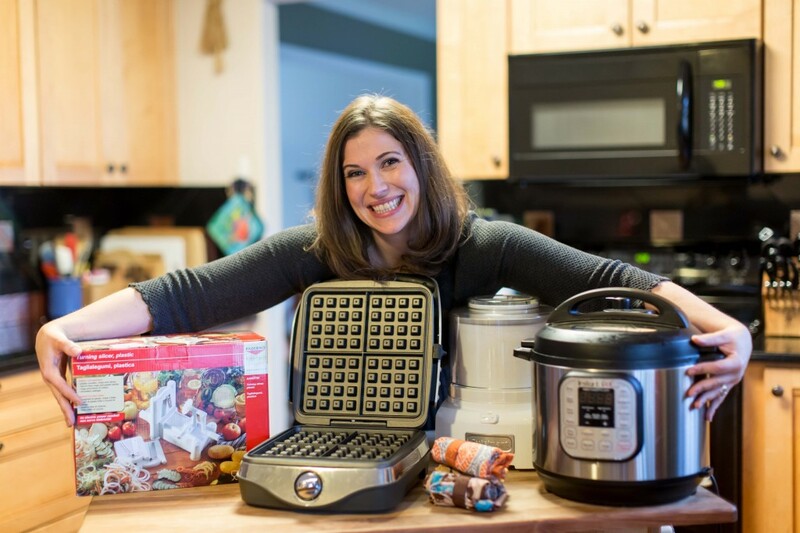 I’m not just going to share what my favorite kitchen tools are and why! That’s boring!!!! Instead, I’m going to make each of these gift ideas extra special for you! Each of the five gift ideas below comes with a FREE download! That’s right! Whether a gift for yourself or someone special in your life, get a start on enjoying my favorite kitchen gadgets with one of my favorite recipes! Each download is designed to be easily printed to be included with your gift!!!! B.B. Begonia Shopping Bags: $10 $3!!!! My mom threw three B.B. Begonia Shopping Bags into the package she sent for my birthday last month. I’ve been coveting hers for a couple of years watching how heavily used they are yet never seem to wear. Of all my birthday gifts, these little bags, thrown in as an afterthought, trump everything else (sorry, honey!). What exactly are they? They are beautifully and intelligently designed foldable, reusable, and washable shopping bags! I keep all three of these in my purse at all times and never find myself at the Farmer’s Market or the grocery store without a shopping bag anymore! They’re strong, fold up really small, are surprisingly large, hold a ton, and come in lots of different neat prints! When they get dirty, it’s just a question of throwing them in the machine washable!!! These would make a great stocking stuffer!!! Buy one for $9.99 $3.00!! each and buy THREE get ONE FREE!!!!! on Amazon or save a dollar per bag by buying five for $44.35. What will you fill your reusable shopping bags with? 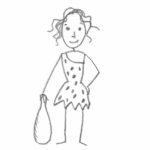 Download my FREE Paleo Food List! Print it out and carry it with you while you shop!!!! A spiral vegetable slicer allows you to make long strings of “noodles” in different shapes cut from vegetables. I’ve made noodles with cucumber, zucchini, carrots (you need really big ones for this to work), kohlrabi (my personal favorite), turnips, rutabaga, sweet potatoes, and butternut squash! For salads, you can typically salt the noodles for an hour, then rinse and dry. For warm dishes, you can lightly sauté the noodles and away you go (some vegetables like zucchini have better texture if you first salt them and then sauté them). You can also deep fry spiral cut sweet potato for sweet potato curly fries! You can use a vegetable slicer to make thin noodles, thick noodles, or ribbon-like strands, depending on the application. My kids absolutely love veggie noodles and never seem to complain about eating their veggies when they’re in noodle form! It’s a very fun kitchen gadget that I find myself using surprisingly often! Buy the Paderno Spiral Vegetable Slicer for $34.10 on Amazon. 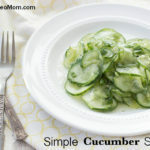 Want a great recipe using a spiral vegetable slicer? Download my FREE Paleo Chicken Pad Thai recipe here! My ice maker is fairly simple. It has with a bowl that lives in the coldest part of my freezer ready for whenever I feel like making sorbet or ice “cream” for a special dessert. 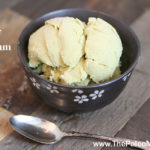 I make the ice cream custard or sorbet mix a few hours ahead of time (this can be as simple as blending up some fresh fruit in my blender), chill the mixture in my fridge, and then this ice cream maker churns it into smooth ice creamy goodness in about 10-15 minutes. I received mine as a Christmas present three years ago and it’s a kitchen gadget I still use frequently and love. Buy the Cuisinart ICE-21 Ice Cream Maker for $48.00 on Amazon. Want a more deluxe version? I’ve used Cuisinart ICE-100 Ice Cream Maker in cooking demos before and it’s awesome! It’s a gigantic step up from the model I own. It has a compressor so you don’t need to find room in your freezer for a bowl and lots of automatic features to make churning ice cream as simple as possible! It also sells off Amazon for $245 (this being the main reason I’ve only ever used it in cooking demos!). 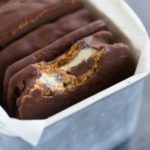 Want a delicious and healthy ice cream recipe to make with your new ice cream maker? My absolute favorite dessert (yes of all desserts) is my recipe for Olive Oil Ice Cream. 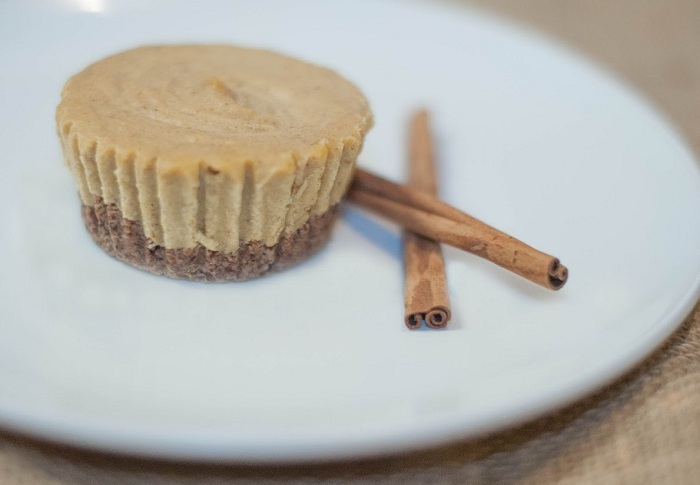 Download the recipe for FREE here! I make a double batch of waffles every single week for our Breakfast for Dinner Night. I freeze the leftovers on a cookie sheet and then transfer to a freezer bag for easy breakfasts during the week. 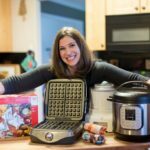 With my nut-free recipe, waffles are super easy to make with this waffle iron–I can make about 16 waffles in 25 minutes! What drew me to this particular model was a couple of features. The nonstick plates are made of bronze, not Teflon. The waffles really really don’t stick and I don’t need to spray or brush the plates with any kind of oil. Those are two huge bonuses from a health standpoint. 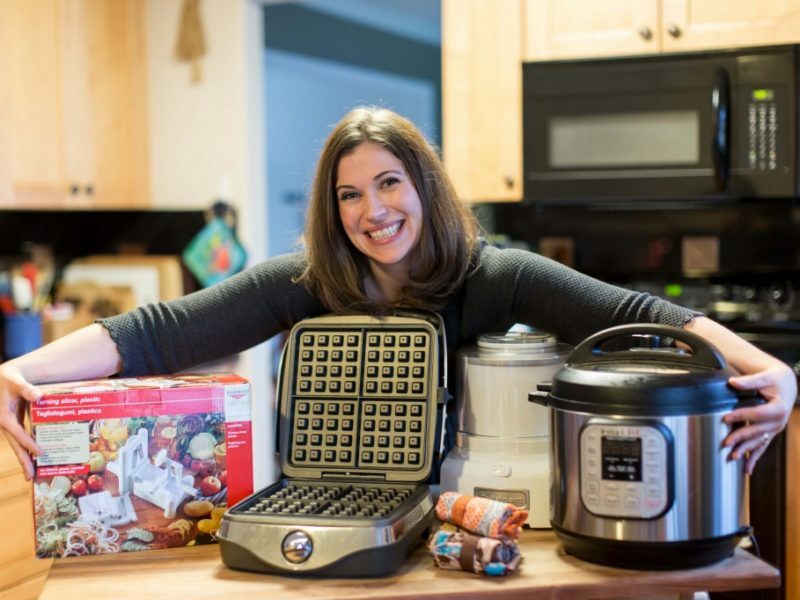 It’s also big and makes 4 square waffles at time, which is a huge time-saver too. The waffles always come out perfectly, I’ve never bothered to clean it (because nothing sticks! ), and it can be stored on its side which really does make it not take up very much room. This was one of those purchases where I read a metric ton of reviews before deciding on which waffle iron I would buy, and I’ve been ecstatic about my choice ever since! Buy the Calphalon No Peek Waffle Iron on Amazon for $99.95. Intrigued about my nut-free waffle recipe? It’s probably one of the simplest, easiest, and definitely the best Paleo waffle recipe out there! 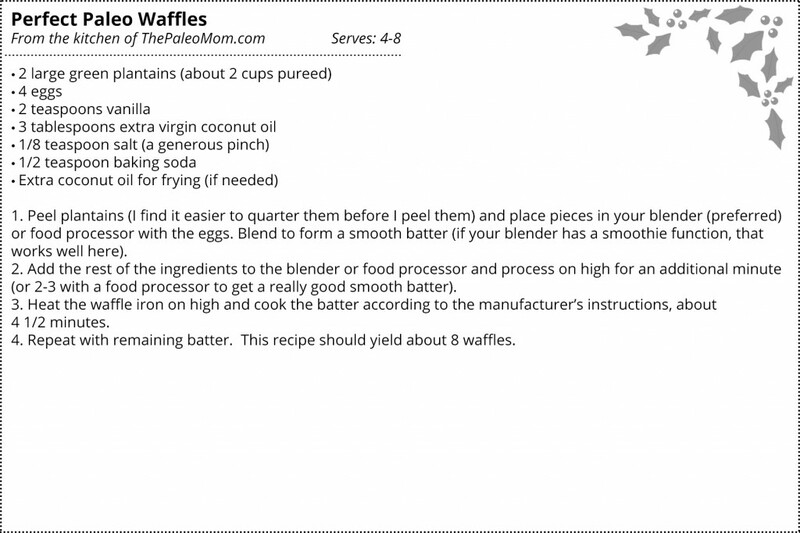 Download my FREE recipe for Perfect Paleo Waffles recipe here! I am absolutely in love with my Instapot! Not only is it both a pressure cooker and slow cooker in one, it also a yogurt maker and a rice cooker too. It can sear, has a timer, can keep things warm, and completely takes the worry and hassle out of pressure cooking. It’s fully programmable with features like delayed start and roughly a million different safety features (okay, 10 safety features, but that’s still a lot!). It also can keep things warm for hours after they are done cooking and is great to bring to potlucks if you’re making a hot dish! The insert is stainless steel and removes completely for easy cleaning, and once again, I don’t need to worry about Teflon coatings. I use my pressure cooker for broth, soups, stews, pot roast, and any tough cuts of meat that are best slow cooked. Buy the Instant Pot 7-in-1 Programmable Pressure Cooker for $134.95 off Amazon. A 6-in-1 version without the yogurt-making function is also available for $119.99 on Amazon. 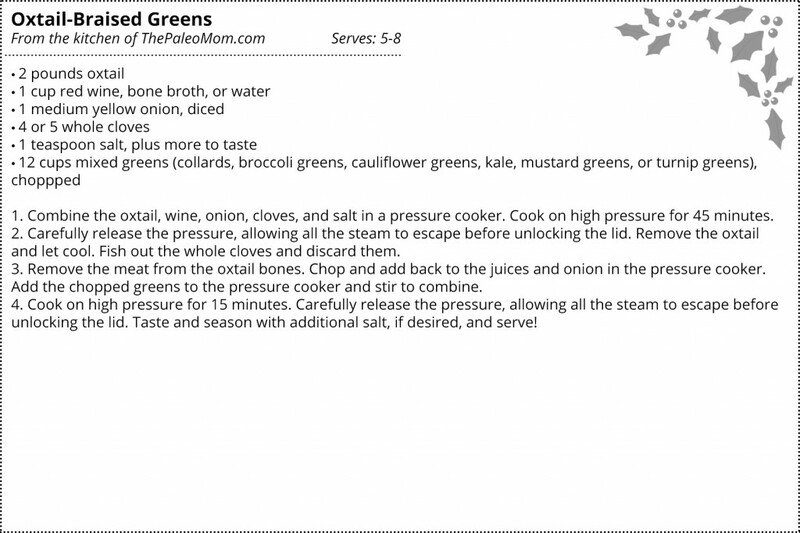 My favorite recipe to make in my Instapot, taking full advantage of the pressure cooker function, is actually a recipe out of The Paleo Approach Cookbook! Download my FREE recipe for Oxtail-Braised Greens recipe here! Just like to collect recipes? You can download all of the FREE recipes in this post to print off for your collection here! Happy holidays!!! It’s not a contest. Buy them and get them a lot quicker. The first link above for the bags has them listed as $3.00 each! Just picked a few up for gifts! Thanks! Plus buying 3 gave me one for free! On amazon it says the waffle maker is just bronze colored. Its still made with ptfe -toxic stuff. You may want to update your post. It is wrong. Surprised you didn’t research that. I read the same thing. In the Q & A section on amazon, someone asked what the non-stick coating was made from, and the person who answered said they called calphalon and after asking 3 times, they finally got the answer that the bronze was just for coloring, and it was their normal non-stick coating aka teflon. I saw the same thing and had the same question. 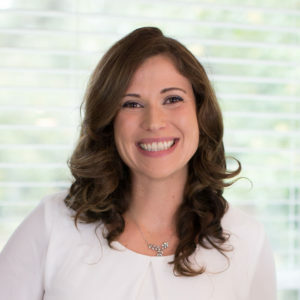 Sarah – can you please clarify? I would love to get a waffle maker that isn’t made of Teflon or Teflon-type materials. Would love to see some info. in regards to this as well Sarah. Was about to purchase it for Christmas morning waffles, but am hesitant now. Do you truly get 3 bags when you order the one from your link? Some of the people that let reviews said it is only one bag. Thanks so much for all the downloads! I saved printed off each one. I already have the spiralizer and love it. The Instapot has been added to my amazon shopping cart. i just have a comment about the Instapot. I got it on Amazon last week for the “flash” price of $109. (FYI, I think that was because a new model is coming out) I was a little concerned because I thought it might be too big for just my husband and I. Au contraire… although is says 7 Qts., the usable volume is about 2.5 Qts . The 10 cup mark is near the top of the inner pan. I think people with large families need to know this. I usually stock up on chicken parts until I have enough to do a large pot of bone broth/stock. I’ll probably just continue to use my old slow cooker for that. I am looking forward to trying some new pressure cooker recipes. But I still think the advertising on this is a little deceptive. Hi Sarah – Because there’s so much misinformation out there about the Teflon® brand, I’m not surprised that you are concerned. I’m a representative of DuPont, and want to share some information with you and your readers so that everyone can make truly informed decisions. I’d truly be glad to share additional information if you are interested, and appreciate your consideration of this comment. 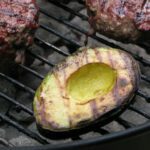 Thank you so much for making a PDF of the recipes! That is awesome. I always read your posts, but having the recipes in one place is SO nice. Thank you for all you do!